Mr Alex Swanton (MBBS MD FRCOG) graduated from University College London and completed his postgraduate training in the Oxford Deanery. He has over 12 years of IVF experience both in practice and research. His MD thesis studied women with PCOS undergoing IVF treatment and has received a number of national and international awards. His research interests include subfertility, PCOS, endometriosis, recurrent miscarriage and fibroids as well as being an expert in advanced laparoscopic surgery. Mr Swanton is a Consultant Gynaecologist at The Royal Berkshire Foundation Hospital and Director of Thames Valley Fertility. 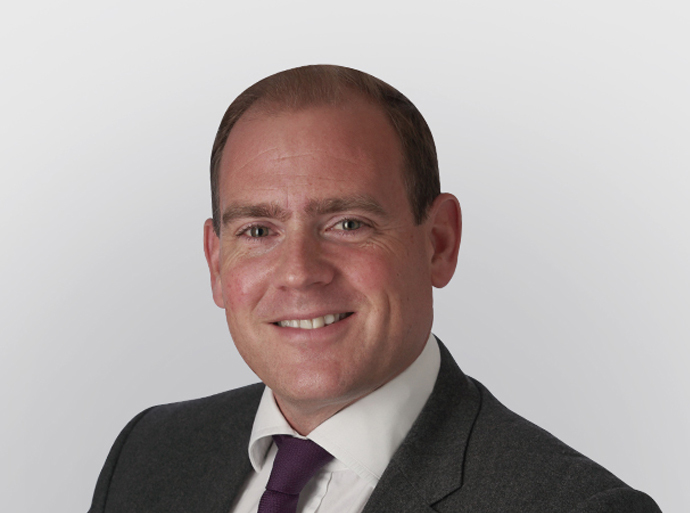 Mr Swanton has developed particular expertise over a number of years in keyhole surgery for conditions including fibroids, hysterectomy and endometriosis. He is accredited and fee-assured by BUPA, AXA and all other major health insurance companies. 1. Do women with ovaries of polycystic morphology without any other features of PCOS benefit from short-term metformin co-treatment during IVF? A double-blind, placebo-controlled, randomized trial. Swanton A, Lighten A, Granne I, McVeigh E, Lavery S, Trew G, Talmor A, Raine-Fenning N, Jayaprakasan K, Child T.
Hum Reprod. 2011 Aug;26(8):2178-84. doi: 10.1093/humrep/der120. Epub 2011 May 18. 2. Avoiding and managing complications during gynaecological surgery.‏ Obstetrics, Gynaecology & Reproductive Medicine, 2010. Morrison J, Swanton AG & Mackenzie I. 3. IVF outcome in women with PCOS, PCO and normal ovarian morphology. Swanton A, Storey L, McVeigh E, Child T.
Eur J Obstet Gynecol Reprod Biol. 2010 Mar;149(1):68-71. doi: 10.1016/j.ejogrb.2009.11.017. Epub 2009 Dec 22. 4. Laparoscopy and laparoscopic surgery. Obstetrics, Gynaecology & Reproductive Medicine; pp33-40: 2009. Updated 2012. Swanton AG, Slack A & McVeigh JE. Gynaecology, 2nd Edition 2008. Swanton AG. 8. Pregnancy rates after conservative treatment for borderline ovarian tumours: a systematic review. Swanton A, Bankhead CR, Kehoe S.
Eur J Obstet Gynecol Reprod Biol. 2007 Nov;135(1):3-7. 9. Chemotherapy versus surgery for initial treatment in advanced ovarian epithelial cancer. Morrison J, Swanton A, Collins S, Kehoe S.
Cochrane Database Syst Rev. 2007 Oct 17;(4):CD005343. 10. Re: Stephen J. Bromage, Debbie A. Falconer, Brian A. Lieberman, et al. Sperm retrieval rates in subgroups of primary azoospermic males. Eur urol 2007;51:534-40. Eur Urol. 2007 Aug;52(2):613. Epub 2007 Mar 26. 11. Azoospermia: is sample centrifugation indicated? A national survey of practice and the Oxford experience. Swanton A, Itani A, McVeigh E, Child T.
Fertil Steril. 2007 Aug;88(2):374-8. Epub 2007 Feb 6. 12. Gynaecological surgery in the older population: a comparative study between two 3-year samples over a decade. Swanton A, Sellathurai A, Reginald P.
J Obstet Gynaecol. 2006 Jul;26(5):452-3. 13. Diagnosis, treatment and follow up of women undergoing conscious pain mapping for chronic pelvic pain: a prospective cohort study. Swanton A, Iyer L, Reginald PW. 14. Reproduction and ovarian ageing. J Br Menopause Soc. 2005 Dec;11(4):126-31. 15. Premature menopause in association with blepharophimosis, ptosis, and epicanthus inversus. J Obstet Gynaecol. 2005 Apr;25(3):318-9. 16. Medical management of chronic pelvic pain: The evidence. Reviews in Gynaecological Practice, March 2004; 4 (1): 65-70. Swanton AG & Reginald PW. 17. Secondary amenorrhoea due to the use of rifampicin as an antimycobacterial agent. J Obstet Gynaecol. 2002 Mar; 22(2):227-8.